The FL-90 LumiFlex from Carson Optical is a compact, ultra-bright LED Book light. The LumiFlex Book light has a fully adjustable lamp-head that can flex and turn to shine light right where you need it most. The book light clips to any size book or magazine and can be used for convenient table-top illumination. It can also be used for illumination for other crafts and hobbies. The LumiFlex features 2 ultra bright LED Lights, a built-in storage clip and fully adjustable lamp head. It is extremely compact and portable. 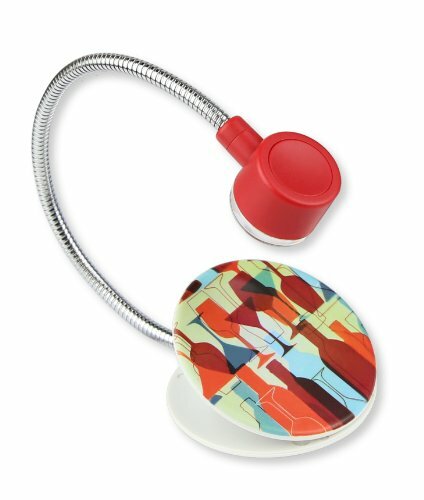 The LumiFlex comes available in multitude of interesting color patterns. The LumiFlex also comes included with 2 CR2032 button cell batteries. At Carson, we strive to make sure our customers are 100% satisfied with the quality of our book lights. We are so confident in our book lights that we back them with a Lifetime Limited Warranty. Carson will repair or replace your book light if it is found to have manufacturing defects in materials or workmanship. Please contact Carson for additional warranty details. Perfect for reading books, magazines, tablets, kindles, e-readers, etc.